I’m currently sitting on our hotel balcony, sipping coffee, watching the waves, feeling the ocean breeze….haha, do you get the picture? If only I were a writer, I could paint a picture of a tropical paradise with just a few words, but since I’m not, here’s the view. Yeah, it’s going to be hard to leave this…. 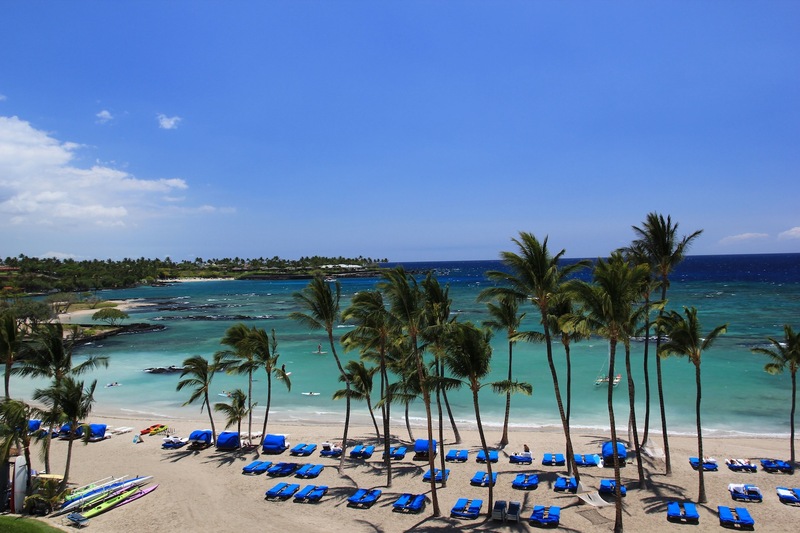 Our 3rd port…Kona (The Big Island), June 27th. Nothing special booked here as we would return to the island after the cruise. Hubby ran out of clean boxers, so we decided to go shopping. We were told the shopping area was close by, so we didn’t rent a car….a big mistake. The shops close by didn’t have what we needed, so we decided to follow the directions on hub’s iPad to Macy’s….it didn’t look too far(on the iPad that is), so we started walking. It was okay for a little while…. 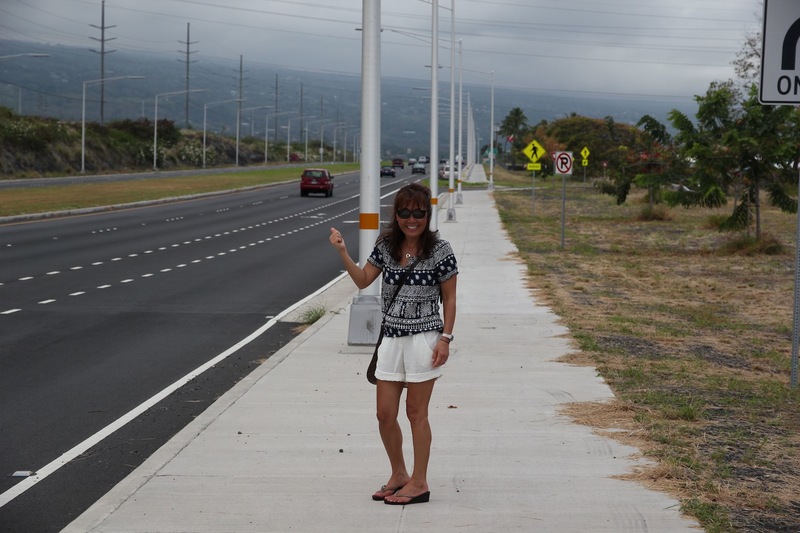 until a few blocks became over a mile….I’m ready to hitch hike! Found Macy’s, got what we needed, called a CAB, and we were back close to the port for some much needed sustenance. 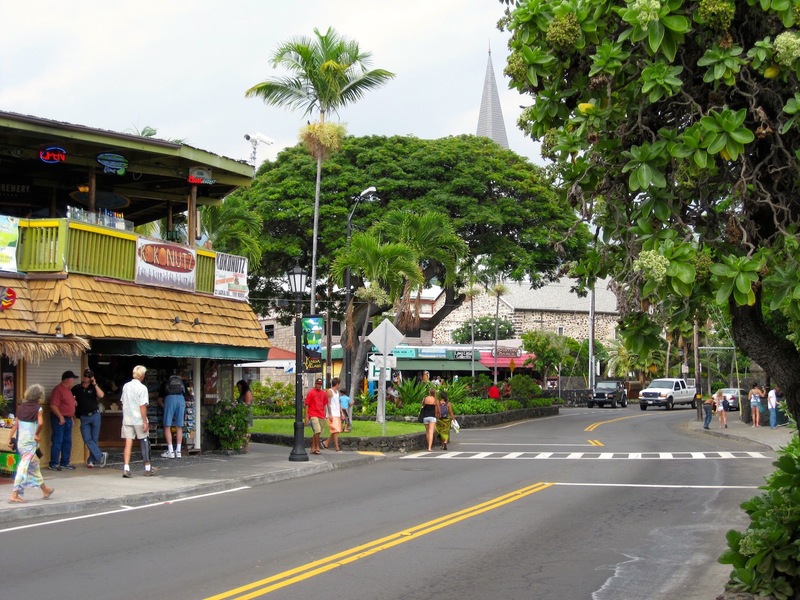 A shopping district by the port, Kailua-Kona. Wow! You are amazing!! How did you blog on vacation?!! And y’all take such beautiful pictures! Dedication? Haha….I didn’t while on the cruise b/c of our schedule & the spotty internet service. Hubby’s still learning but I think he’s doing a great job! we love Hawaii as well! Looks like a fabuous trip! 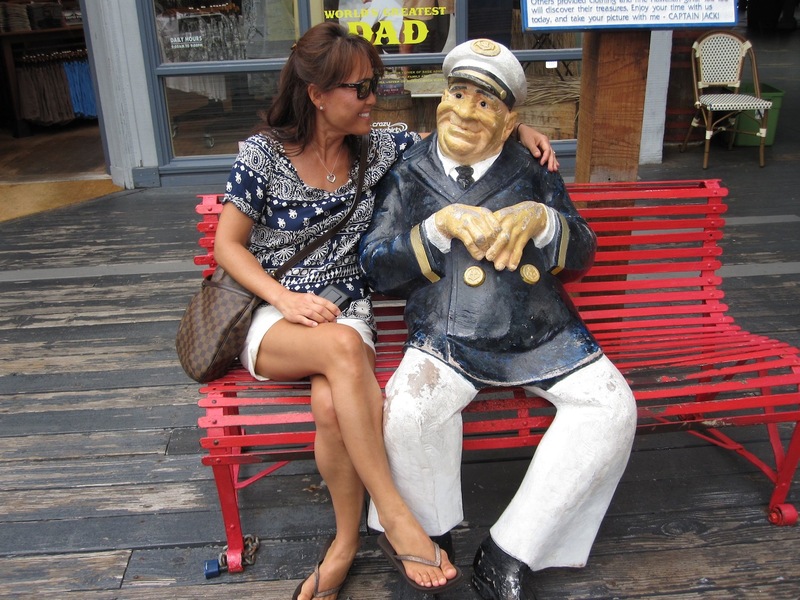 thanks for sharing the vacation photos….they are so beautiful!! Hawaii is just so beautiful! Not sure i could walk a mile in those tiny shoes! Ouch! Poor you for having to walk that far! But hey, wasn’t it a good workout? Nice to hear you’re on a cruise! I have been very busy lately so haven’t read any blogs for weeks! Catching up now 😉 Have fun on your trip! 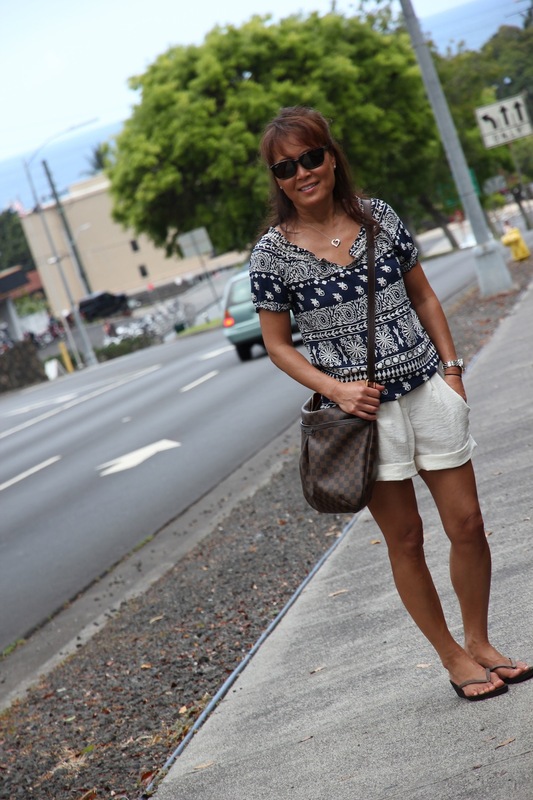 I’ve had a wonderful time here in Hawaii. Will be leaving for home soon. I’ll miss this place! 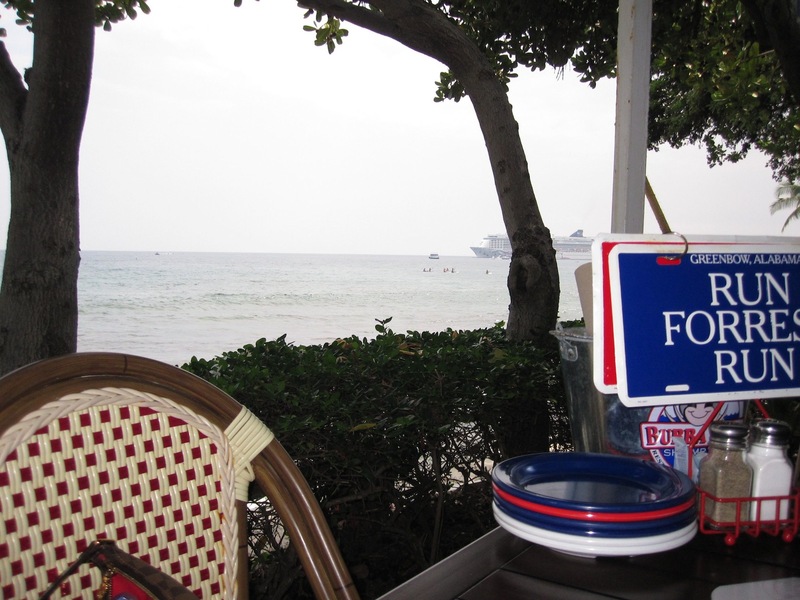 I see you’re on vacation…hope you have a great one! I will definitely join in for the Chanel-inspired…wouldn’t miss this one. Hope you had a very wonderful 4th with your family! Your post made me miss Kona so much! Fond memories just flown back to me! Nice pictures! I’m gonna miss this place very much as well. Aloha! Mahalo! I will not forget how beautiful that place is! Breathtaking………um, new man in your life???? ?…….funny, taking that little walk to find new underwear! You do look good in vacation wear! Leave it to the man to pack, and this is what happens. Could have used the ship’s laundry service but they’ve ruined one of his nice shirts in the past, and for the amount they charge, we could easily buy new ones. We took two weeks for this getaway…will be back home Friday. One week would not have been enough since this was our first visit to Hawaii. Just too much to see and do. Man, I hope my legs are as good as yours when I hit 50! Awww, you’re very kind! Thank you! Gorgeous pics. Sounds like a great time. Thank you so much for sharing your trip with us. The pictures are beautiful!